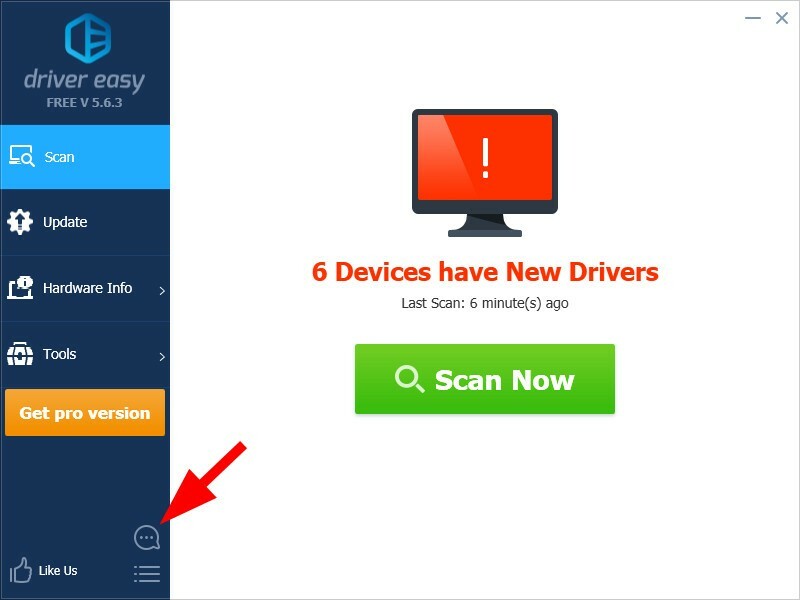 If you have any question about or any issue with Driver Easy, you can send us a feedback. You’ll be able to send us not just text messages but files as well. 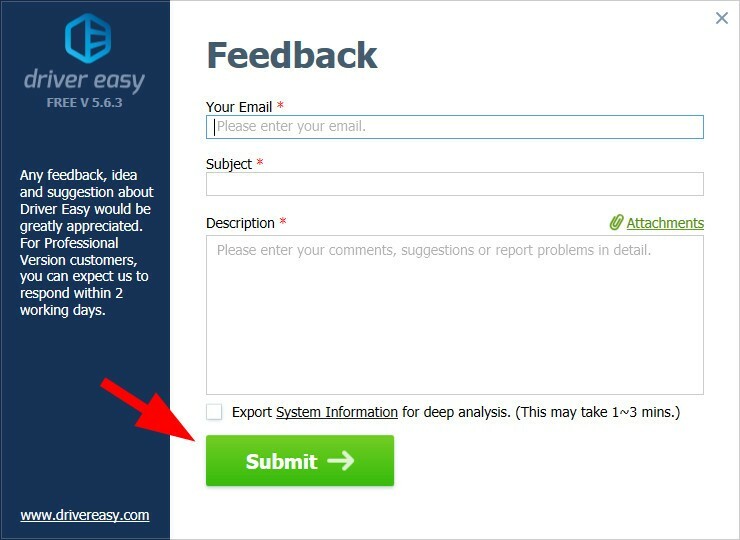 1) Click the Feedback button. 2) Fill in the form. 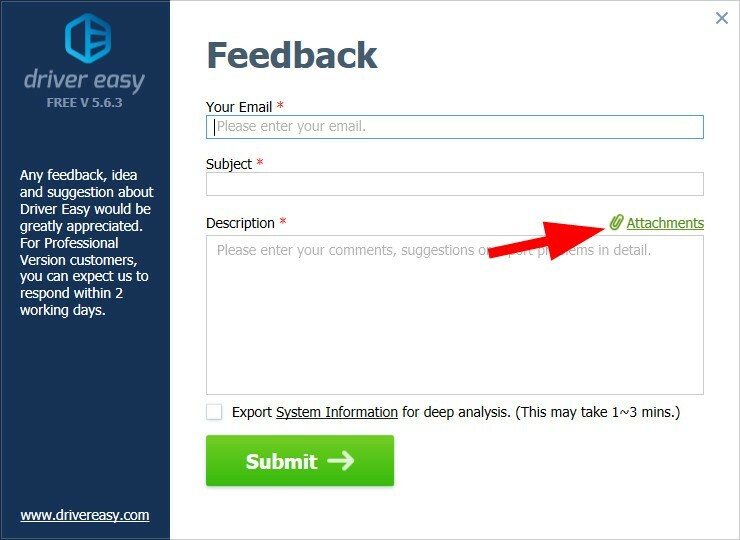 You can also click Attachments to attach a file, such as a screenshot, to this feedback. 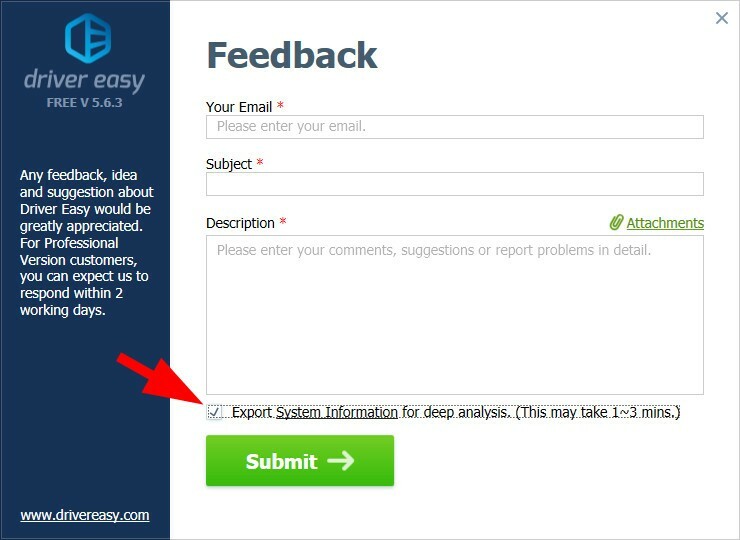 If you want us to help you with your issue better, you can check Export System Information to send the detailed information of your computer to us. 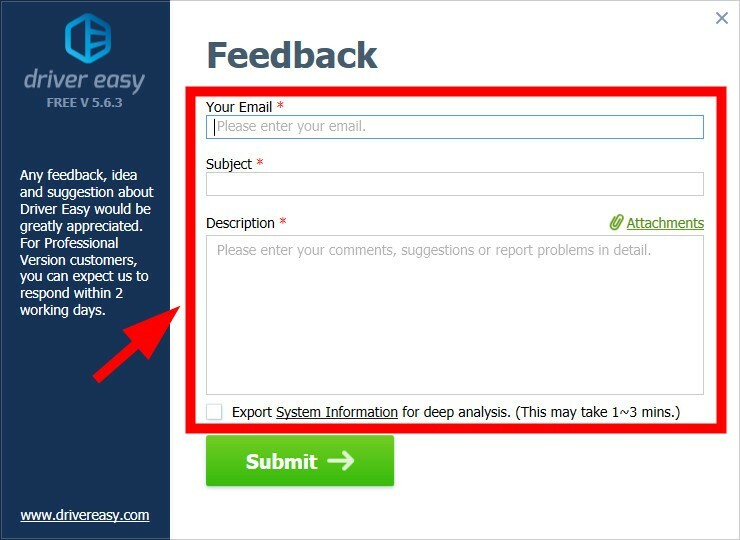 3) Click Submit to send us this feedback.